A wall piece perfect for a gaming room. 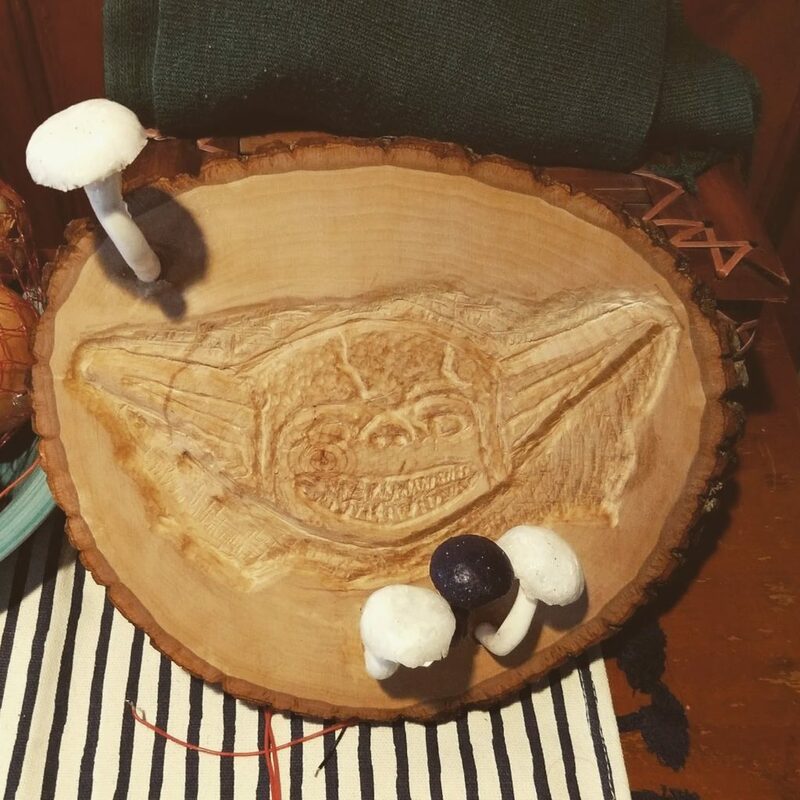 The carving features custom LED mushroom lights for a fun ambience. 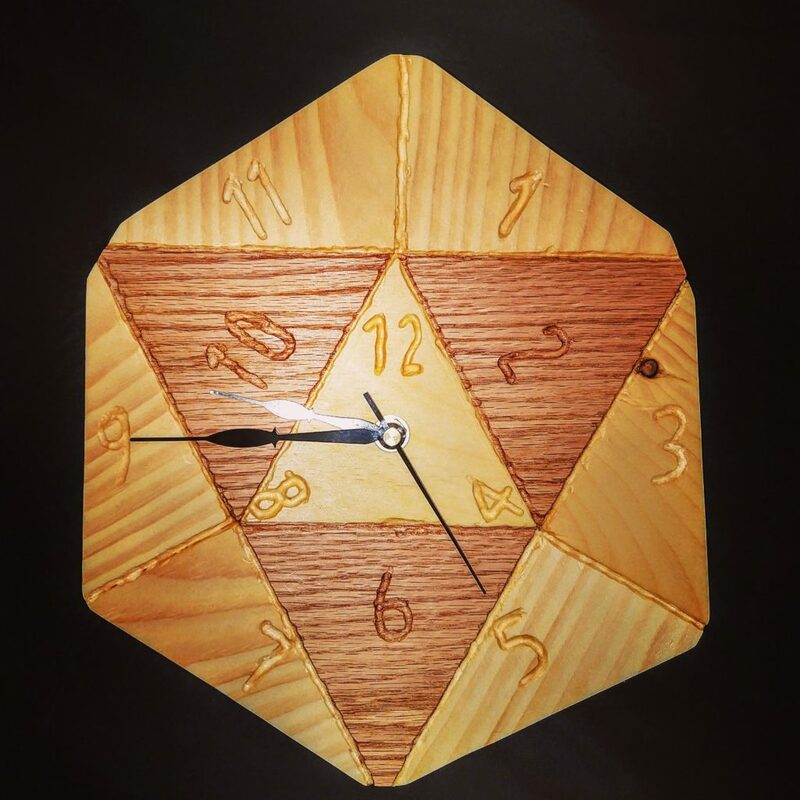 Gaming inspired clock made to represent a 20 sided die. Made from red oak and pine.